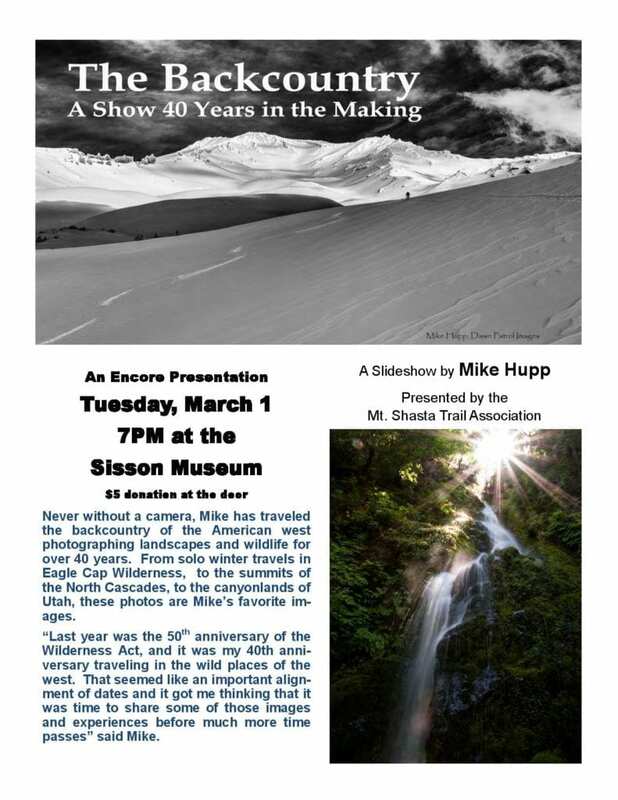 Trail Association board member Mike Hupp will present his spectacular photographs in a slide show at the Sisson Museum, on Tuesday March 1st. This is an encore presentation of an earlier slide show he gave. Join us at at 7:oo PM, with donations going towards trails.